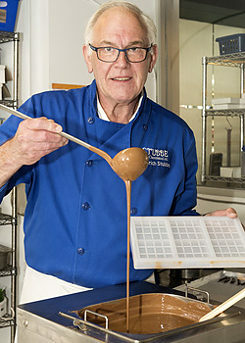 In 1989, master confectioner Heinrich Stubbe opened a small store in the heart of Ottawa, relocating the family business to Canada. Founded in 1845 by his great-grandfather Johannes Heinrich Petrus Stubbe in Meppen, Lower Saxony, Stubbe Chocolates is the oldest family business in the Ottawa area. Heinrich Stubbe in his shop | © Monik Richter In its early years, Stubbe Chocolates was mostly just popular among insiders, as Heinrich Stubbe first needed to convince Canadians that his handmade, high quality goods were worth their higher price. 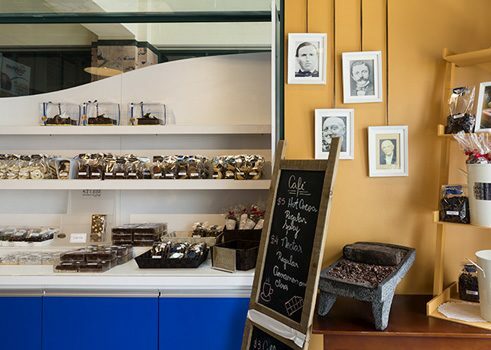 Heinrich Stubbe sources the cacao products for his chocolate creations from 18 different countries of origin. He works on refining the raw materials with some cacao cooperatives directly. In the shop, in front of a mirrored wall, there stands a glass case full of tempting, house-made, premium chocolates and pastries. On display are delicate pralines, enticing truffles with delicious fillings that melt in your mouth, and 15 different sorts of chocolate bars with garnishes such as dried fruit, almonds, pistachios, hazelnuts, or cacao nibs (little pieces of raw cacao beans). When creating the truffles, Heinrich Stubbe normally uses 2-3 harmonious types of chocolate and ingredients from various countries. In contrast, he uses exclusively Colombian products for the truffle “Guava”, made with 70% dark chocolate and a ganache of guava paste and anise liqueur. 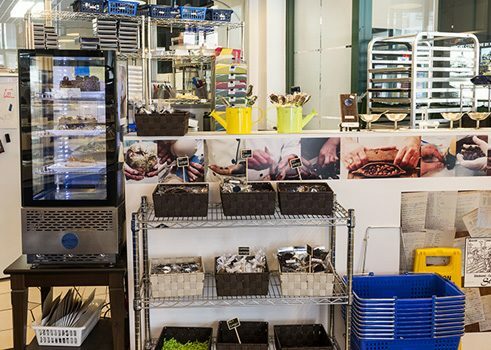 Approximately 10 tonnes of raw cacao are processed in his bakery each year, and the chocolatier has become an integral part of Ottawa. During most of the year, Heinrich Stubbe has three permanent employees assisting him, but during the Christmas season that number can grow to 12. German specialties are particularly popular around Christmastime, such as Vanillekipferln (vanilla crescent cookies), Zimtsterne (iced cinnamon star biscuits), Spekulatius (a type of thin, crunchy, spiced shortbread with an image stamped on the front), and Stollen (a bread-like cake with dried fruit). Heinrich Stubbe also works at some culinary institutes to pass on his confectionary knowledge to future pâtissiers and chocolatiers. Among other places, Stubbe is a teacher and an examiner at the distinguished Le Cordon Bleu institute, where students from around the world are educated. Heinrich Stubbe has also taken care of the future of Stubbe Chocolates – in 1995 he opened a second location in Toronto, which is overseen by his son Daniel, who is also a trained confectioner.